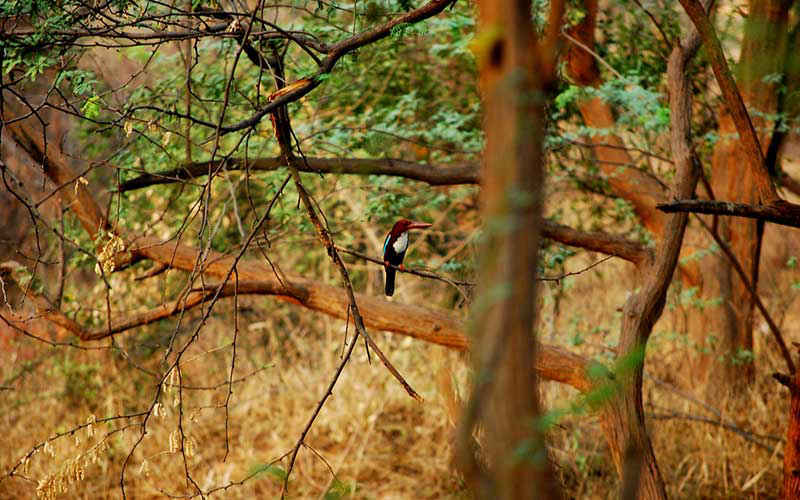 Being one of the most bird-rich cities in the world, Delhi has an amazing array of birds of all shapes, sizes and colours to offer the enthusiast. The city abounds in birds native to it, as well as migrants from different parts of the world that descend upon it across the year. 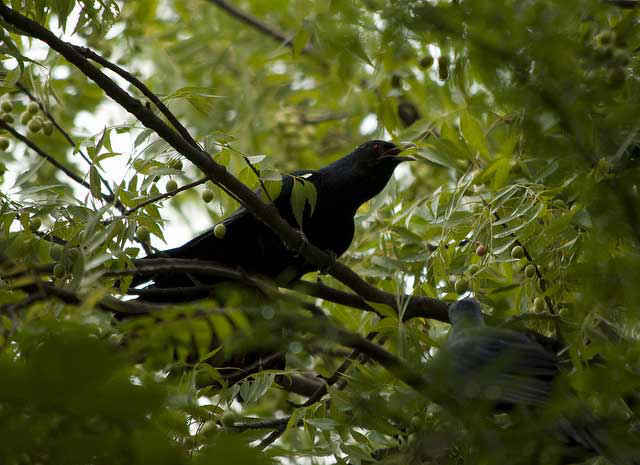 You don’t always have to go to the sanctuaries or parks to see the best birds the city has on offer. Here&apos;s a sprinkling of all the species found here! Much, much meaner than they look, Black Drongos are often called the ‘police’ of the bird world. Distinctively black, slender birds with deeply forked long tails, these birds are found in the city’s dry forests, as well as its manicured gardens, open fields on the outskirts and river fronts. Ferocious to a fault, they can actually chase away birds much larger than themselves when under threat. 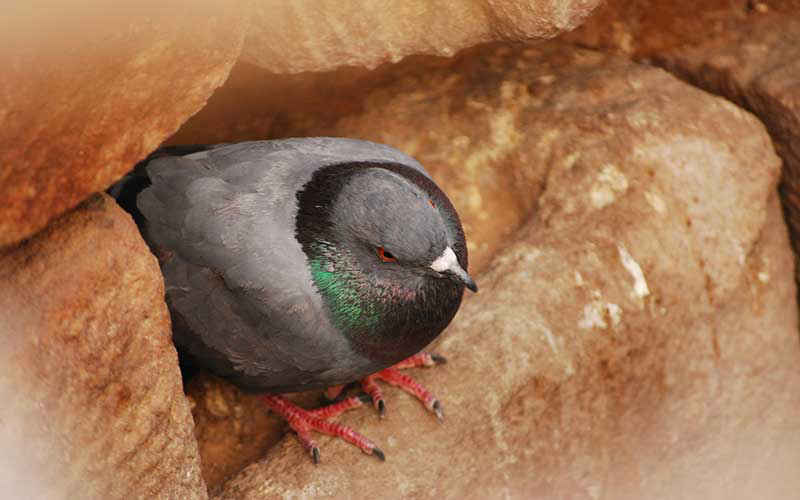 One species of bird that unites Delhi with the great cities of the world is the Rock Pigeon. Delhi has these by the hundreds of thousands. They throng our markets and our localities. They nest among buildings old and new, on college campuses and at traffic intersections. Many feed them, and feeding sites are often thick with scattered grain, as the Pigeons hold marked popularity with the local populace. Another very easily seen yet beautiful bird, Mynahs are dark brown overall with black tails and heads and yellow beaks. They chatter away as they hop about at the local Dhabas (roadside eateries) and tea shops, familiar with human beings, eagerly picking away at scraps thrown to them. Occasionally resorting to some bad mimicry, these birds are a delight to watch. The most common bird of prey to be seen in the city, they are distinguished from every other bird of similar appearance by a forked tail. These birds hover over the city’s markets, dumpsters, landfills, as well as residential localities looking for edible leftovers and dead animals. Known to the locals as ‘Cheel’, they hunt sometimes, swooping off with little rodents, lizards and birds, sometimes even prey as large as pigeons. Doves are, quite literally, small pigeons. They look like pigeons, albeit more slender and different in colour. 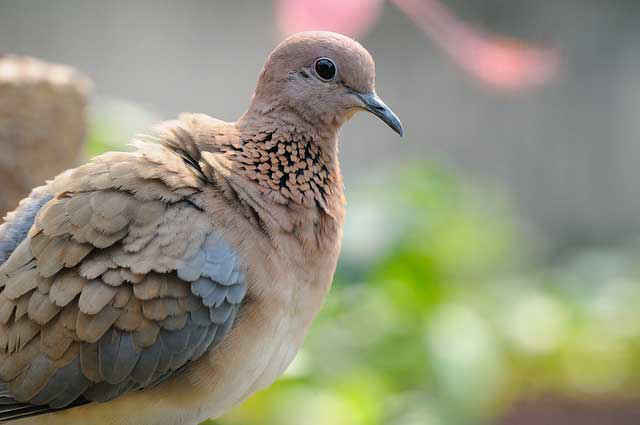 Their hoots are softer, and it is always interesting to come across the laughing-dove, a browner species of the bird which has a call like a soft laugh. 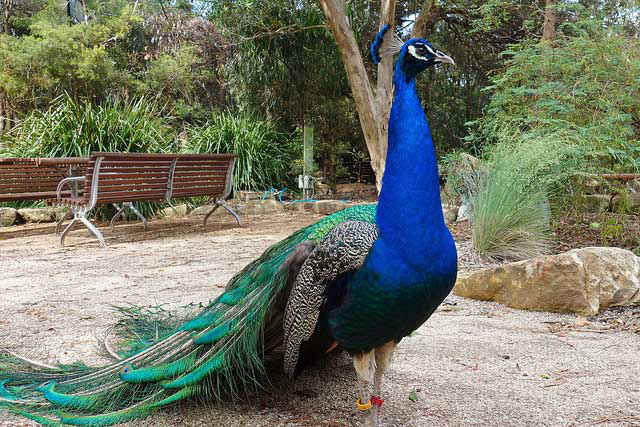 Our national bird, and by far the most striking bird you will see in the city, the Indian Peafowl, for all its exotic beauty, is quite a common bird in Delhi. 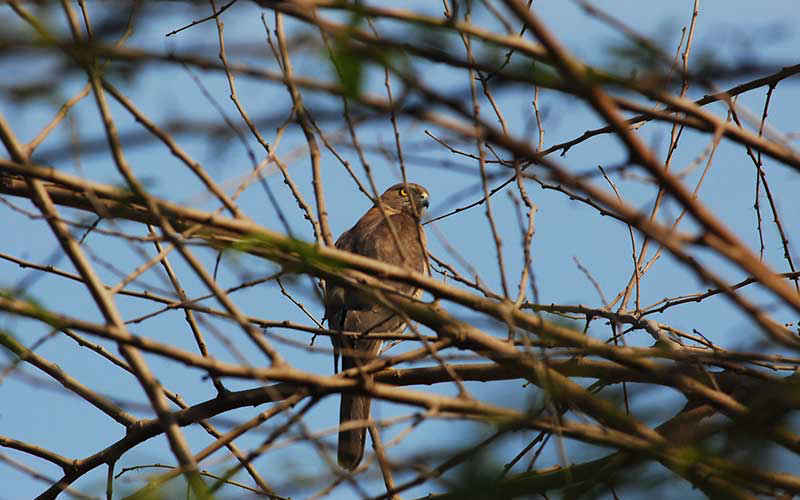 Many of these fine creatures throng the vast greens of Delhi’s colleges and universities, its urban forests and gardens and their clear, loud calls reverberate through their habitat. Don’t miss the Peacock during the rains, for it is then that you get to see the most iconic bird shot you will see in India - the bird dancing, its spectacular plumage on display. A much more common bird than you’d expect, the Whitethroated Kingfisher is a prominent, beautiful bird that frequents reservoirs, lakes, river-banks and ponds. While it does not exclusively feed on fish, it can be seen hunting lizards and other small animals as well. The bird has a harsh, throaty call that heralds its appearance from a distance. Sitting still or hovering over the water, it makes for an instructive and delightful watch. 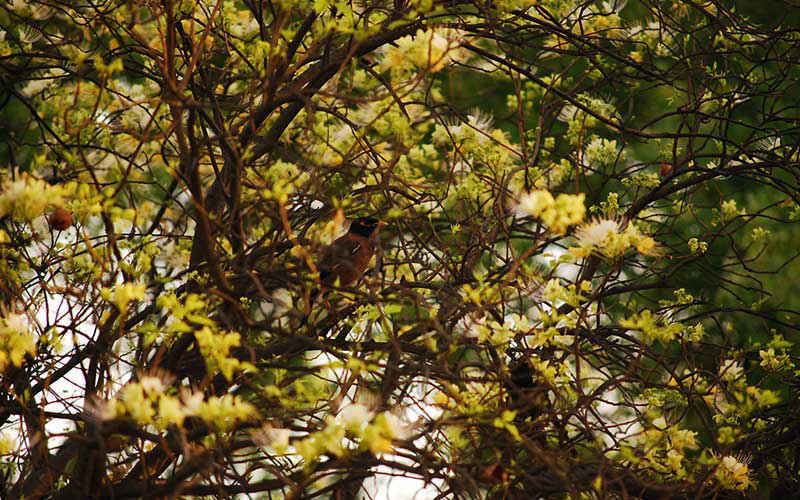 An elusive bird as far as sightings are concerned, Koel is one bird always noticed because of its beautiful voice. 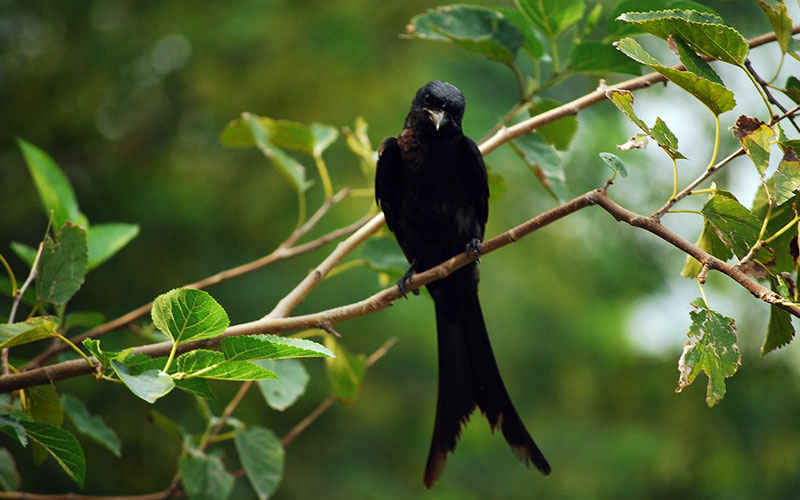 Immortalized in Indian legend and lore as a master of song, Koel’s call reverberates through tree-groves, gardens forests and fields, especially during the monsoon season when it is in its element. Males are black, while females are a duller brown with white spots. Koels are very lazy parents and choose to let other birds bring their young up. A female Koel will often sneak into a crow’s nest when the owners are away, knocking out the eggs already present to lay her own. They are often caught, though, and many a birding afternoon is best enjoyed watching a really high speed aerobatic Crow-and-Koel chase through the trees. 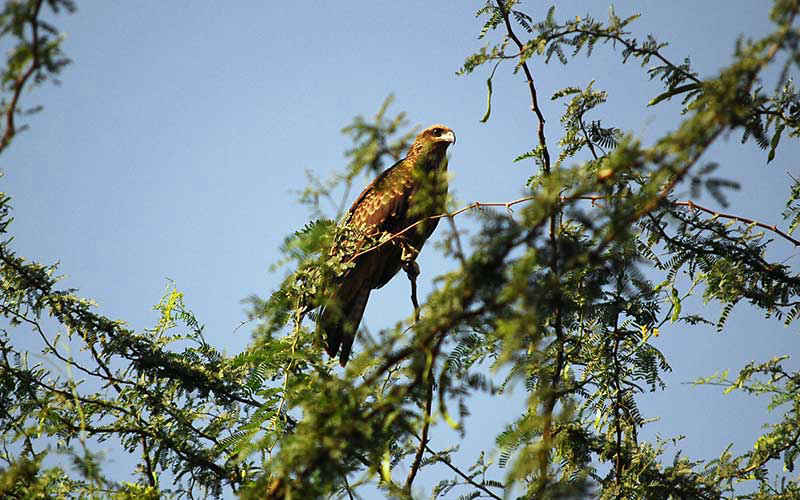 An important member of the ‘birds of prey’ club, this bird is a blue hawk, the size of a pigeon. Adapted for quick, acrobatic flight through dense foliage, the Shikra is deadly to say the least. The female is of a browner hue, and larger than the male. This feathered creature requires a little alertness to be spotted. One clue is a sudden ruckus among the smaller birds in a patch of forest, usually raised when it appears out of nowhere and disappears with one of their number.